There are millions of reactions that occur in our bodies daily. These reactions do everything from helping us to breathe to breaking down food, to allowing us to think, fight infections, regulate hormones and carry out numerous other duties that allow us to function. If it weren’t for the enzymes found in our bodies many of these reactions would take so long to complete that would not be able to continue. Enzymes are proteins that facilitate chemical reactions in our bodies without themselves being altered or consumed during the process. It is estimated that somewhere between 50,000 to 70,000 different enzymes are found in the body. More than 99% of these enzymes play no role in digestion. However for the purpose of this article we will only focus on the enzymes dealing with digestion. Most people are familiar with the digestive enzymes in our bodies and the fact that it is their duty of break down large particles into smaller ones that the body can use for energy. Different enzymes are responsible for carrying out different jobs. For example, it is the job of lipase enzymes to break down fat molecules, amylase’s are charged with breaking down large carbohydrates into simple sugars, while the protease’s break down proteins. Proteolytic is a common name used for enzymes that expedite breakdown of proteins by breaking the bonds holding the amino acids that make up the protein together. Such enzymes make up around 1 -5% of the genetic content of all living things. They are special because unlike other enzymes, they have the ability to adjust according to the altering requirements of the body. This is why many times the same proteolytic enzyme is seen in digestive formulas as well as systemic formulas. The special ability of proteolytic enzymes allows them to digest and eliminate the protein based protective shield found on all rogue cells, allergens, and pathogen thus allowing for their elimination from the human body. Also found in the body are Circulating Immune Complexes or CICs. These are super large protein complexes, originating mainly from corn, soy, wheat and dairy. The small intestine is unable to fully digest them and they pass into the blood stream as very large molecules. Since they are too big to be used up, the body assumes they are foreign invaders and starts to attack them. Initially the body is able to remove but over time their numbers become too many and the body ends up storing them in its soft tissue. They continue to be attacked when in storage, which eventually leads to inflammation in the area where they are stored and under continuous attack. If left unchecked autoimmune diseases like lupus may develop. Recent studies show that reduction in the levels of CICs can lead to improvement in the diseases that result due to high CIC levels. 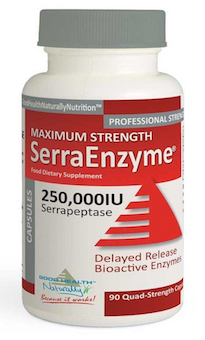 Serrapeptase or more accurately Serratio Peptidase is by far, the most powerful proteolytic enzyme. Fabricated in the gut of silkworms by bacteria, it is used to digest the cocoon of the worm so the silk moth may be released. In Asia and Europe has been used for medicinal purposes for more than 25 years because it disbands nonliving tissue in the body like cysts, arterial plaque and blood clots. It is useful in treating numerous conditions including but not limited to postoperative swelling, atherosclerosis, torn ligaments and sprains. It uses three basic methods to do this. It cuts down on inflammation by thinning fluids much like aspirin and accelerating drainage. Aids in reducing pain by blocking the releasing of pain causing molecules called bradykinin. And it facilitates cardiovascular health by breaking down the protein waste products resulting from blood coagulation known as fibrin. It is believed it can also do the same for plaque, without damaging the inside of arteries. Nattokinase is another enzyme that is extracted from fermented cheese type food known as Natto. According to the thousand year old Japanese culture, Natto is a folk remedy for vascular diseases and the heart. 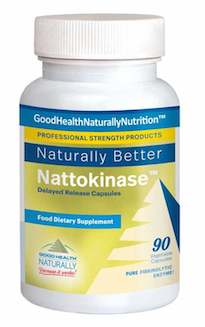 Nattokinase aids the body in removing the harmful components of blood coagulation. 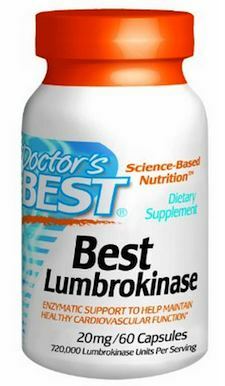 According to research it is four times more efficient fibrinolytic than the anti-clotting enzyme plasmin. 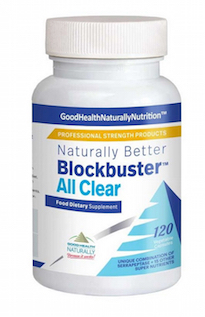 According to studies nattokinase behaves as an ACE inhibitor and lowers blood pressure. A 2008 study carried over eight weeks found nattokinase to moderately decrease systolic and diastolic blood pressure. And in a separate 2009 study conducted in Taiwan, it was found that nattokinase has the capacity to dissolve amyloid fibrils, a fact that may be of benefit to Alzheimer’s patients.